Home and auto insurance probably isn’t your favorite cocktail party conversation, but it is important to spend a little time selecting the right agent, company, and coverage for your own unique needs. Watermark Insurance Services is an independent agency that focuses on providing successful people with “concierge level” service and competitive pricing for your homes, autos, boat/yachts, collections and umbrella insurance. “Sheila and her team at Watermark truly live by customer service. We had water in the basement of our summer cottage up North. Not only did we not know what to do, but we couldn’t find a contractor who could do the work in a timely fashion. Sheila and her team not only arranged for everything to be covered appropriately, but also worked with the insurance adjuster to find us a reputable contractor near our cottage to get the work done. Everything was done perfectly and we couldn’t be happier with Sheila, Shawn and Watermark. Just give us a call at 616-949-6920 or e-mail us at sheila@watermarkins.com to get started. It just might be the first conversation about insurance that you’ve enjoyed in a long time! We find Insurance solutions for the most unique or valuable possessions, and find the coverage level you want, with a personal approach! As an independent agency, we represent multiple companies, and can shop for your auto insurance needs "in house". Your needs may change over time, and we have the carriers that can respond competitively throughout those changes. High value vehicles? Antique or specialty cars? Youthful operators? Driving record issues? Need to coordinate business auto coverage with your personal auto coverage? No problem. We have solutions for these and more. Whether its a 12' Zodiak, a 43' Tiara, or a 38' catamaran, we have the markets to handle your boat and yacht needs. Replacement cost coverage is often available for new boats, and agreed value can also be purchased in most instances. Our markets are experts in your needs. Many of our personal insurance clients want their small business insurance coverage handled by the same agency. We represent several commercial insurance markets to respond to this need. Your home is often your largest asset, and insuring it properly takes time and attention. We offer home insurance products that can be tailored to your needs. Most of our companies conduct an on-site inspection of your home, and do a detailed cost to rebuild analysis so that you can be assured of proper valuation. Optional coverages, like backup of sewers and drains, identity theft, and coverage for your at-home business can be written as needed. Protecting your assets includes protecting your family against the possibility of losing ongoing financial support due to death or disability. Call us for an assessment of your needs. Jewelry, Furs, Antiques, Collectibles, Guns, Fine Arts, Silver, Gold, Coins, Stamps, even Military Vehicles (really! ).....We will discuss your Special Collections and how a program can be structured tailored to your personal needs. In our litigious world, more people should be purchasing umbrella liability insurance. Liability limits should be purchased in the context of your total asset base, and the coverage is quite inexpensive for the coverage afforded. Call us to discuss your needs. MEET THE STAFF THAT SERVES YOU! Sheila E. VanZile is founder and Queen (yes, that is a version of her business card) of Watermark Insurance Services. 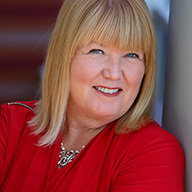 Sheila has extensive knowledge of the insurance industry from the insurance carrier, broker and agency perspectives. Launched in late 2004, Watermark Insurance Services has fulfilled her vision for a concierge approach to the business, serving as personalized resource for each client. The agency offers a comprehensive selection of personal property and casualty insurance services, including homes, autos, boats, collections, and umbrella; the focus is on competitive pricing supported by impeccable service. Life and business insurance products are also available. VanZile's extensive insurance industry experience spans 25+ years in management and leadership with profit and loss accountability within the property/casualty insurance industry, including sales, marketing, distribution, and underwriting disciplines. Sheila led and managed insurance company operations at the local, regional and national level. This included Regional Insurance Services Practice Leader (Midwest Region) for Marsh USA, Regional Vice President (Western/Northern Michigan Branch) for Citizens Insurance Company, and senior management positions with CNA Companies throughout the Midwest. Watermark Insurance Services was named a finalist for the Top Women Owned Businesses by the Grand Rapids Business Journal in 2011 and 2013. 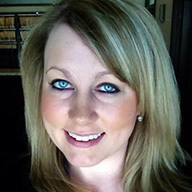 She has also been honored as one of the 2015 50 Most Influential Women in West Michigan by the GRBJ. Sheila was recognized in 2016 by the Cascade Community Foundation with the Claude and Marion Robinson Community Service Award for her work leading the capital campaign for the renovation and expansion of the Gerald R. Ford Viewing Park. She is a board member at St. Cecilia Music Center. Past community roles include President of the Board of Directors for the Urban Institute for Contemporary Arts, and the Development Committee for the Humane Society of West Michigan. She earned her BA degree in Economics from Kent State University in Kent, Ohio. She resides in Cascade with her 2 long haired miniature dachshunds (who can be found in the office daily), and a cherished son and daughter in law. Shawn French joined Watermark Insurance in 2015, adding another 15 years to our personal insurance service experience in the agency. A Michigan native, Shawn has experience in both personal and business insurance, and worked with Farm Bureau Insurance for many years. Her experience spans sales, service, and claims. Shawn attended Saginaw Valley State University, and she resides in Lowell. She loves chocolate (and wine!). Jacob (aka Jake) Stanton joined Watermark Insurance in 2019. 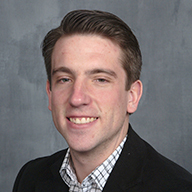 Jake’s role as an Account Executive in our office allows him to offer prospective clients the best combination of coverage, cost, and company to meet their needs. He understands that helping people is what we really do every day. A native of Jackson, Jake is a graduate of Grand Valley State University. His sports education degree gives him a great perspective on teamwork and achieving goals. When he’s not busy selling insurance and delighting customers, he enjoys hockey, baseball, golf, pretty much every sport on the planet! Watermark Insurance Services specializes in providing impeccable service for your home, auto, boat/yacht, umbrella, collections and life insurance needs. As an independent agent, we serve as your "insurance concierge", combining competitive pricing with concierge level service. Let us worry about your personal insurance needs, you worry about enjoying what you've earned! For our clients who have achieved a measure of success, we have access to high valued home and/or collection, aviation, antique and unique auto, and high umbrella limit markets. We represent several insurance companies, and do the shopping for you.